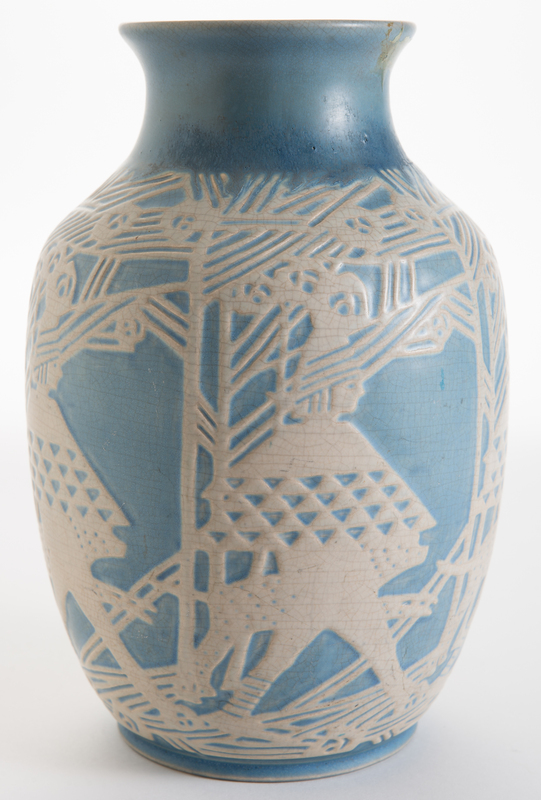 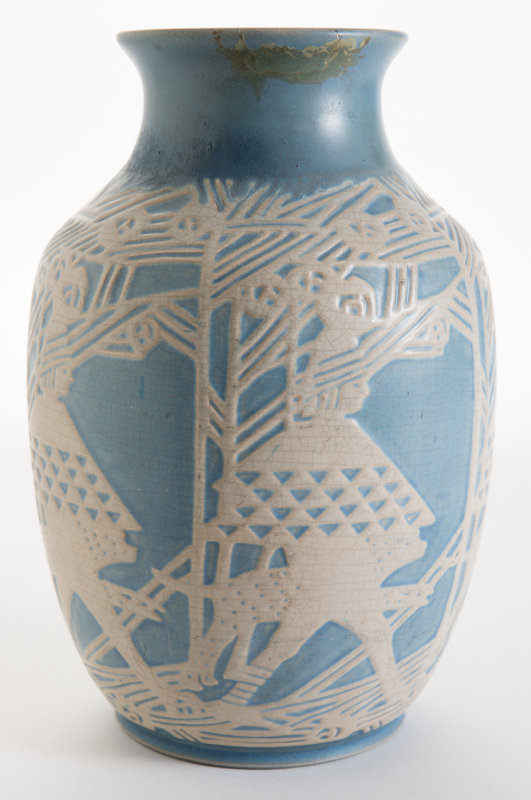 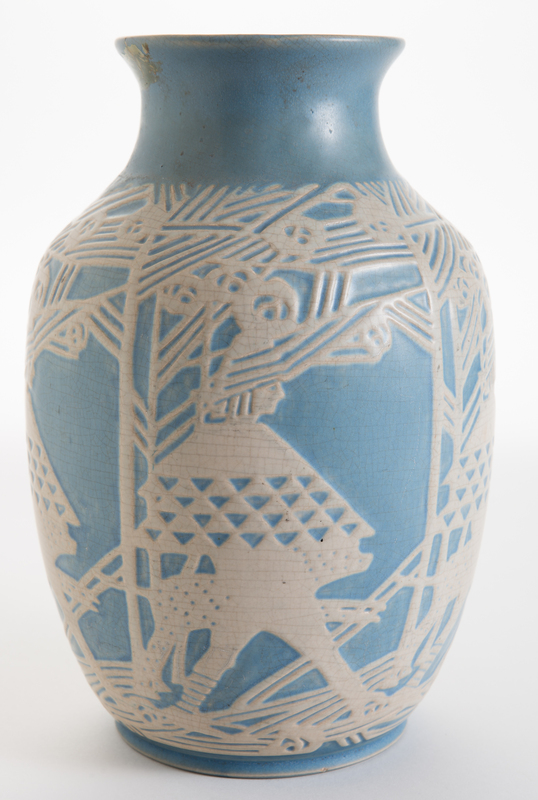 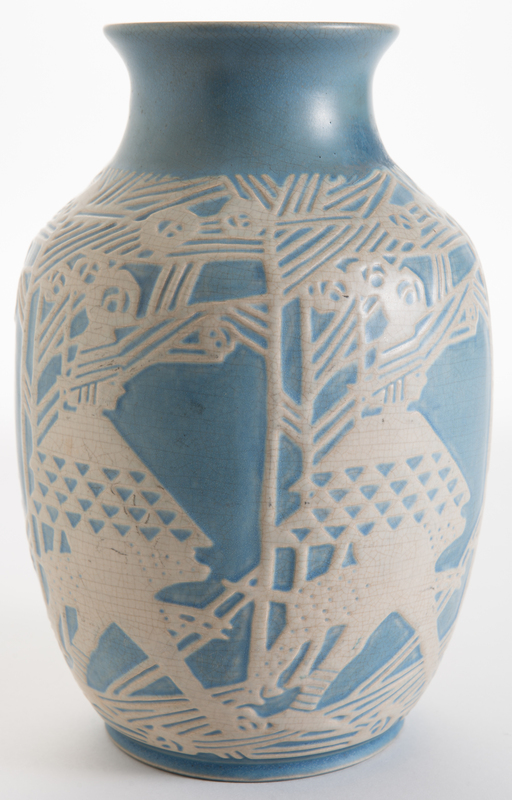 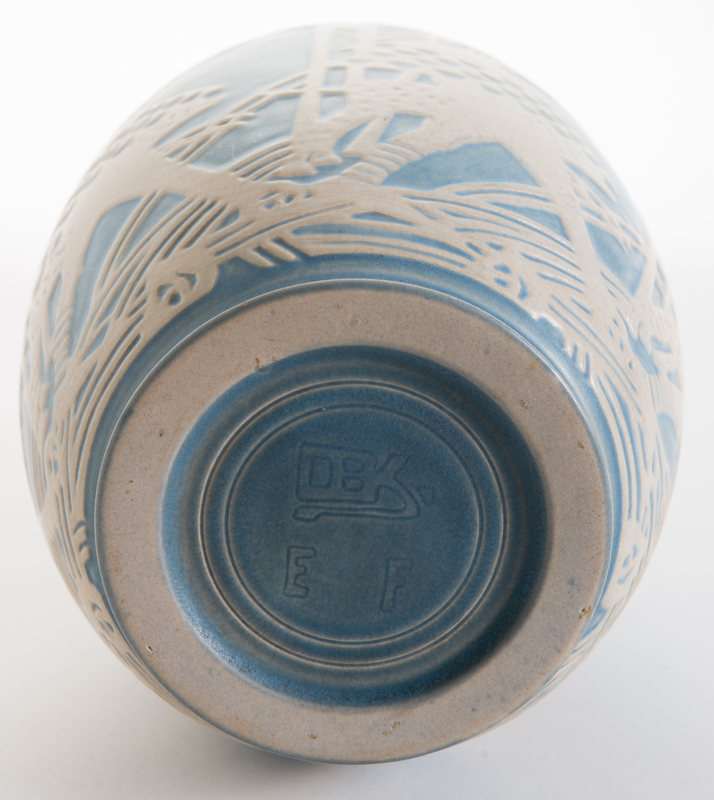 This impressive piece of blue Overbeck pottery shows a white carved scene with a walking man who has some type of animal by his side. It is repeated five times across the vase. 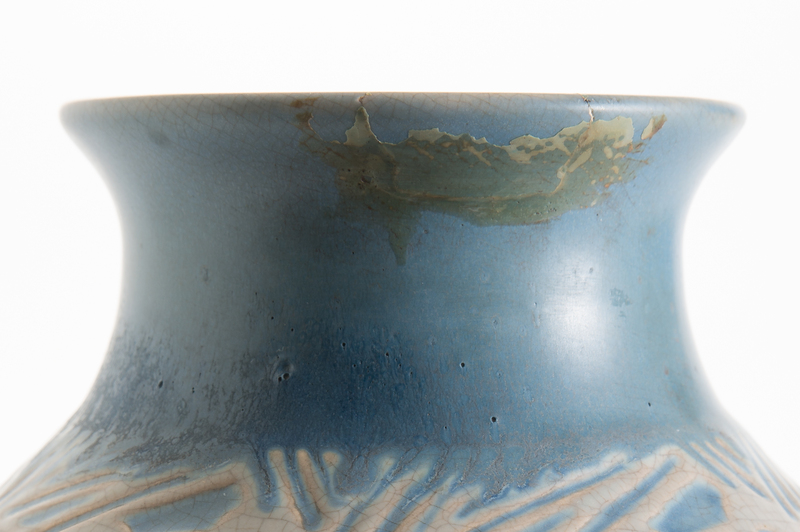 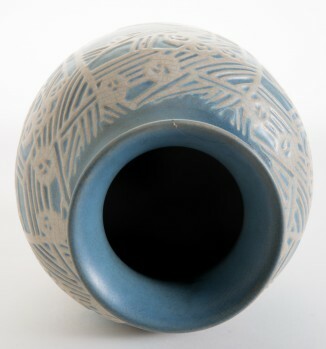 The vase is broad with a flared lip. The lip does have an old repair to it that can be seen in the pictures. Marked on the bottom of the vase OBK E F. 9" tall.